Graham & Ann Anderson invite you to come and spend a relaxing getaway or vacation at our beautiful, well-situated park. Imhoff Caravan Park has it all for you. 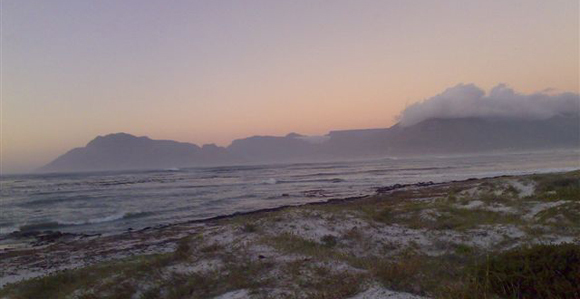 Imhoff Caravan Park is situated in the serene historic village of Kommetjie meaning "the little basin" on the Atlantic seaboard of the Cape Peninsula. Which is close to the City Centre of Cape Town (approx 34km), with Table Mountain around the corner. It is landscaped so as to harmonize with the natural environment. The resort fronts on two of the finest unspoiled beaches in the Western Cape, South Africa - Long Beach, renowned for its surfing and the expansive Noordhoek Beach. With a lot of sunbathing and swimming on our caravan parks safe and protected beaches, we assure you of a relaxing and exhilarating break in an area renowned for its hospitality. This park has a clear view of the world famous Chapmans Peak and Hout Bay harbour. Please note that caravan/tent sites do not have sea views. Experience a unique journey through the Constantia wine lands, the birthplace of the wine farming industry a mere 15 minute drive from Imhoff. Stellenbosch and Paarl with their delightful restaurants and surrounding wine routes are within a pleasant 40 minute drive. Provisions can be bought in Kommetjie where there is a fully licensed restaurant, Post Office, Public Library, garage, coffee shop, etc. The Longbeach Mall 10km away will provide every shopping facility. Should you require medical attention the False Bay Hospital in Fish Hoek is only 11km away. A fast regular train service operates between Fish Hoek and Cape Town.